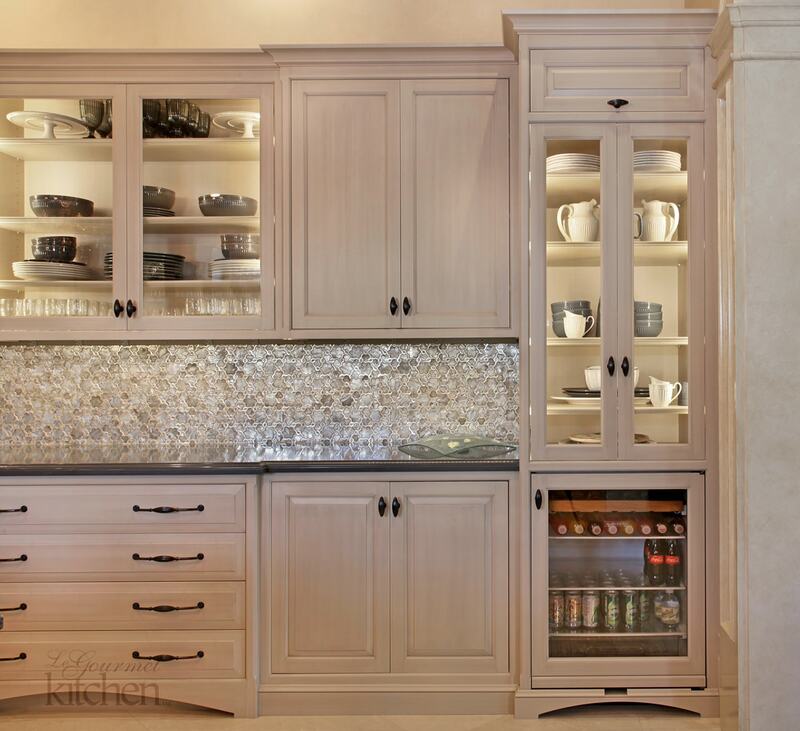 Design Statements with Range Hoods | Le Gourmet Kitchen Ltd.
We all know that the kitchen is the hub of activity in the home. You may find yourself doing everything from cooking to entertaining to homework and crafting in your kitchen. Open plan kitchen designs offer the space to not only create delicious meals, but to dine with family and friends, and to enjoy everyday living all within a single space in the home. With all these activities taking place in the kitchen, it is important to remember that cooking and food is still the heart of any kitchen design. We are all avid home chefs at Le Gourmet Kitchen, and we know that cooking is enjoyable but also a messy business. It produces odors, moisture, smoke, and grease, all of which affects the air quality of the room and can impact surrounding surfaces such as kitchen cabinets and countertops. How do you fulfill your passion for cooking while combating its byproducts? 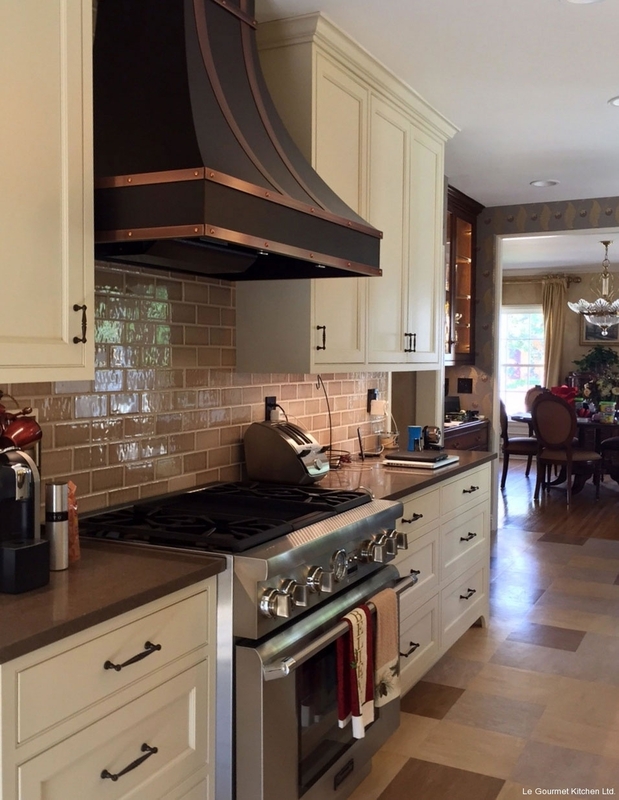 The range hood is a necessary component of any kitchen remodel, as it serves the very practical purpose of ventilating these substances and helping to keep the air clear while cooking. Did you know that hoods are also available in a range of materials and styles to not only complement, but help define your kitchen design style? Follow our guide to range hoods and find the perfect one to complement your kitchen renovation. 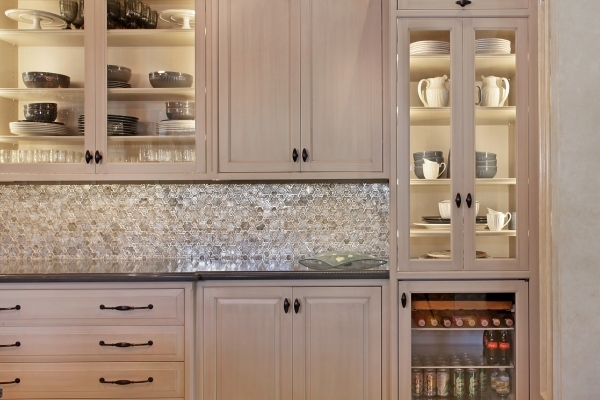 It will not only meet your home’s technical needs but also make a statement for your Orange County kitchen design. 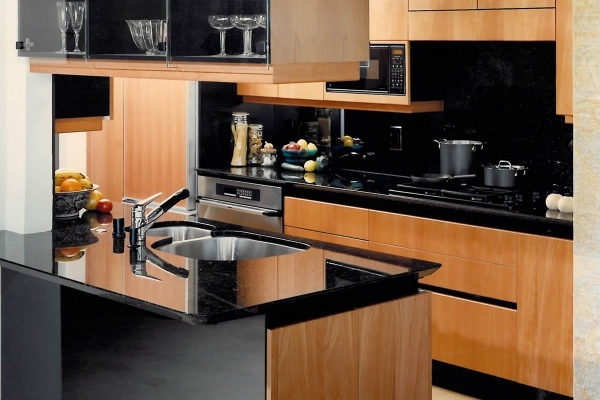 As with any product for a new kitchen, you must consider your kitchen layout, workflow, and available space. 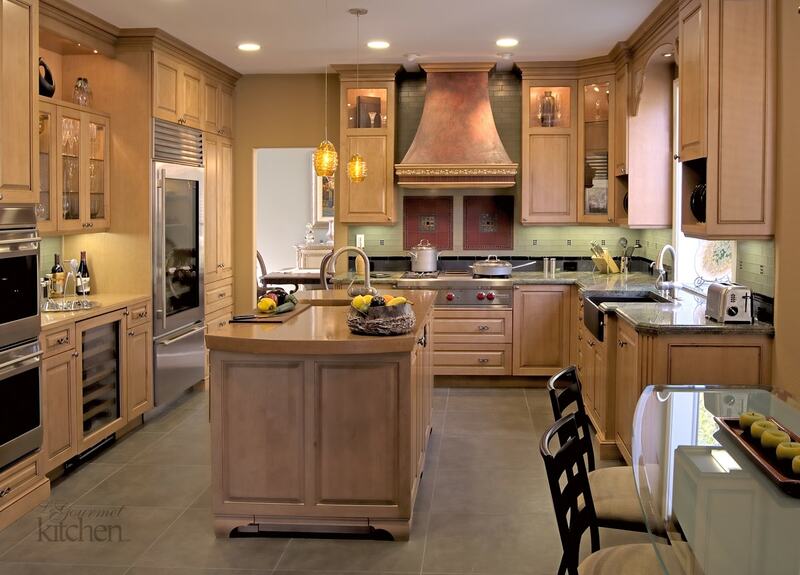 Where do you plan to locate your cooking area? Will it be on the perimeter of the kitchen, or in an island? How large is your kitchen? What is the actual footprint, or “capture area”. Where the range hood will be positioned. 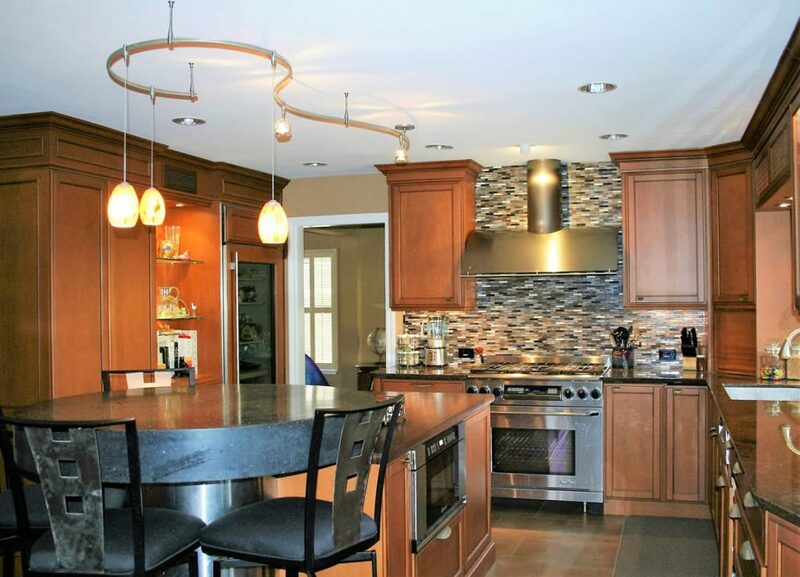 If you are an enthusiastic chef, you may want a large cooking space, so you can juggle multiple pots and dishes at one time. The width of your hood should match the area of the range underneath it, with the depth covering the back burners and at least half of the front burners, though this can vary with the type and power of your individual hood. Remember that the larger your hood, the more it will become a focal point in your kitchen design and consume physical space in your kitchen footprint. Your hood style also affects how much space it takes up, as a chimney style hood requires a different footprint to a custom plaster hood or a decorative oval hood. 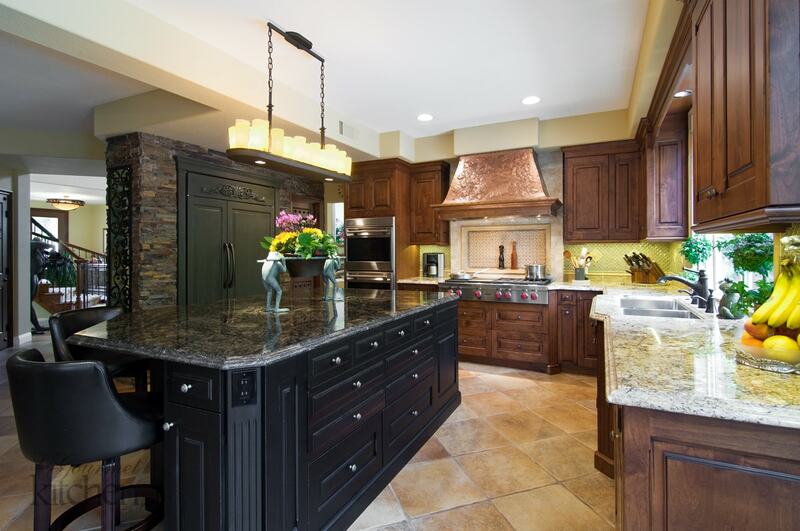 Your hood style may also be impacted by whether your cooking area is along a wall or in the island. 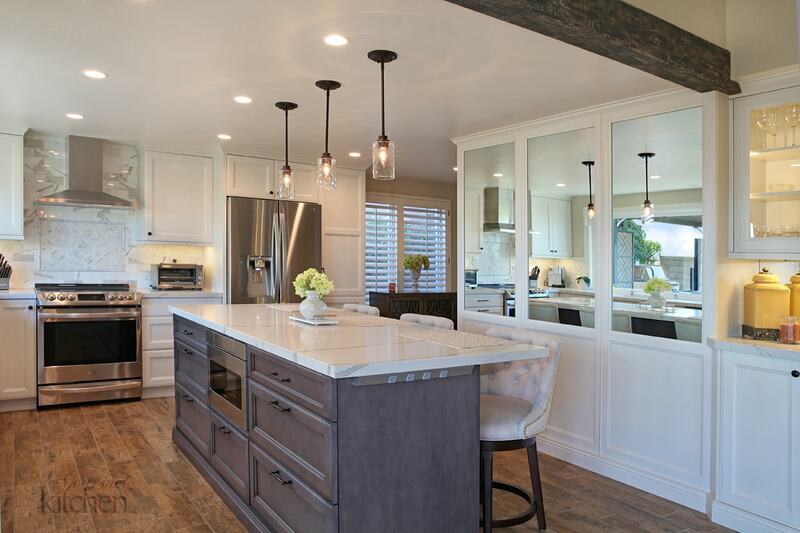 An experienced Orange County kitchen design expert will help you understand your space requirements and navigate the options that best meet your requirements. 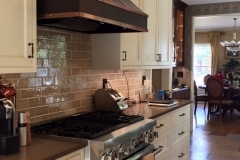 You may have your heart set on a custom-built hood or a stainless chimney hood, but before you start considering style you must look at technical needs. How often do you cook, what size range do you plan to have, and will you use gas or electric? The answers to these questions will help determine how powerful a fan you need, measured in cubic feet per minute (CFM), which determines how much air it can remove in one minute. Fans also produce different noise levels, which is measured in “sones” or decibels. The more you spend, the more likely you are to get a better performing and quieter fan. Try out different models in a showroom to see how they compare. Finally, most homes will have a ducted hood, which vents outside and most effectively removes all pollutants. If your home (such as in an apartment building) cannot support ducted, then a non-ducted hood may be your only option. Now comes the fun part! 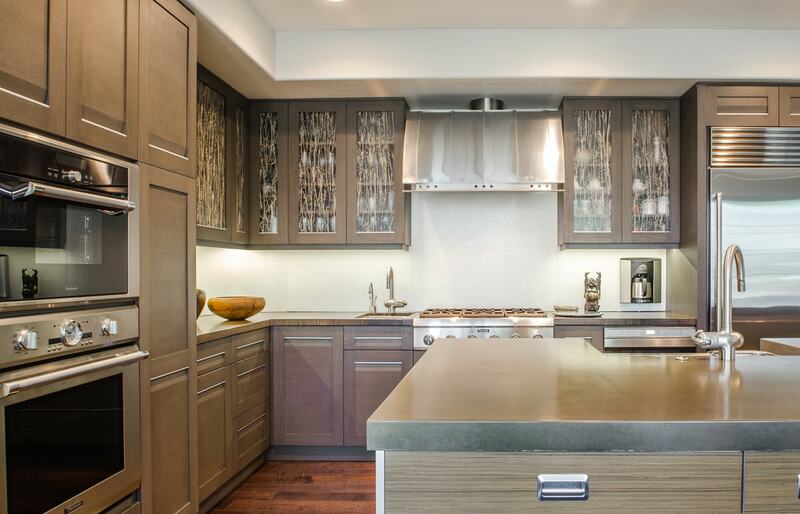 While it serves a very practical purpose, range hoods have become an essential part of the kitchen design style, even serving as an architectural centerpiece in some designs. 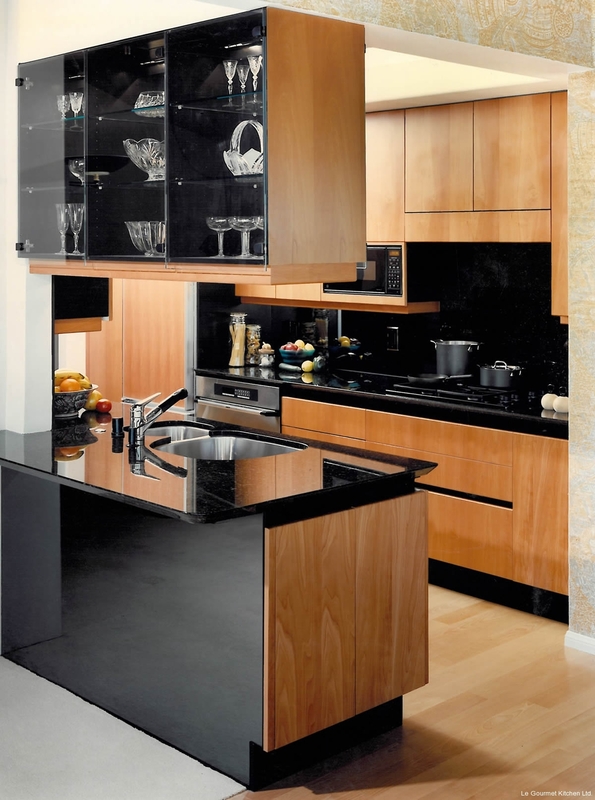 Hoods come in a variety of mounting options including undercabinet, wall-mounted, and ceiling-mounted. Other options to consider include downdraft ventilation hoods, ventilation power packs, or wall mounted fans. 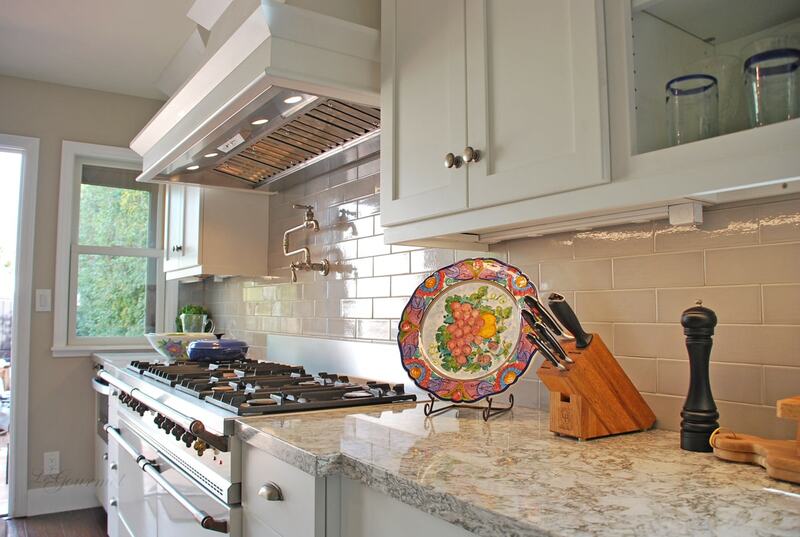 While stainless steel range hoods are common, hoods can also be customized to match surrounding kitchen cabinets, or to stand out in stone, metal, or a bold color. 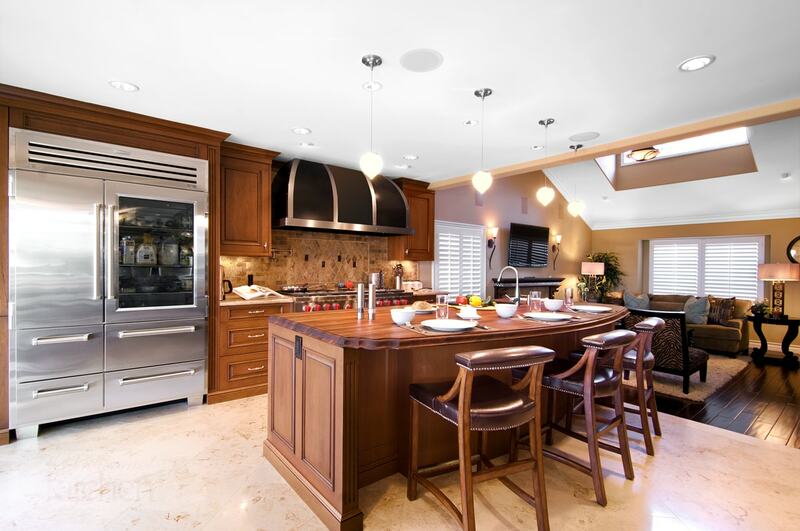 Start by visiting our kitchen design gallery to find your range hood style, and then contact our Orange County kitchen remodeling specialists to discuss your requirements.